As a student at school or university, having to remember Shakespearean quotes, Einstein’s theory of relativity, or economic principles is difficult enough already without attempting to organize your academic responsibilities as well. An academic journal, similar to a school diary, can take some the stress and hassle out of your life by making sure you manage your responsibilities for school better. What is an Academic Diary? For those wondering what an academic diary is, understand that these journals are designed to help students such as those attending a university record everything from thesis ideas and Calculus formulas to test dates and paper requirements. Academic journals can be reflective, and you can use the space to write about your feelings and thoughts on a particular topic you are studying. Academic diaries are also useful for managing time, keeping track of homework, and creating test study guides. So by maintaining an academic diary, you will never again forget about a reading assignment for history class or a worksheet for finance class. You will be better able to keep a homework schedule and thus won't procrastinate until the last minute. Having to pull an all-nighter is never fun, is it? Get an academic diary, and you'll be motivated to finish that work earlier. While the most common use of an academic year diary is to organize your academic duties, it can take on many forms and serve many purposes. And this makes them so versatile and helpful. The diary can log classroom experiences. For example, you can write journal entries about your time in the lab for chemistry class, your experiences putting together a group project for business class, or how you performed research for a thesis paper in literature class. Another practical example of an academic diary is one used to help with retaining course material. While you may think you can remember every little thing that gets thrown at you, by keeping a diary of what you have been told, you will soon wonder how you ever coped without one. A diary can also help with recording ideas for certain classes. For instance, imagine you have to write an essay on a famous poet. While eating lunch, an idea for a thesis pops into your head. If you have your academic diary with you, that idea can be written down and it won't slip away. The digital age has made keeping a mobile online diary easy. Diaries are protected by a password and you don't have to worry about having a pen and paper with you. 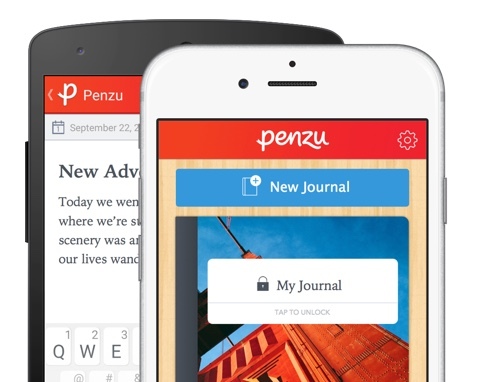 Penzu's online platform and digital diary app allow you to access and write in an academic journal from any location. You get all the benefits of having a diary for school with the added security, mobility, and convenience of Penzu's services. There's no time like the present - start your free online academic diary today! A health diary is not just a list of medical readings and calorie counts. It is a way to record feelings, goals, activities, surrounding events, and results for any particular area of health. Everybody has certain things they don't wish to share with others. That's why a secret diary is so important to many people. There are so many moving parts involved in your big day that it's easy to lose sleep. The good news? There is a way to organize your wedding.